A mordant is a substance used to set dyes on fabrics or tissue sections by forming a coordination complex with the dye which then attaches to the fabric or tissue. It may be used for dyeing fabrics, or for intensifying stains in cell or tissue preparations. A mordant is always a polyvalent metal ion. The resulting coordination complex of dye and ion is colloidal and can be either acidic or alkaline. Mordants include tannic acid, alum, urine, chrome alum, sodium chloride, and certain salts of aluminium, chromium, copper, iron, iodine, potassium, sodium, and tin. Pre-mordanting (onchrome): The substrate is treated with the mordant and then dyed. Meta-mordanting (metachrome): The mordant is added in the dye bath itself. Post-mordanting (afterchrome): The dyed material is treated with a mordant. The action of the mordant on the substrate: if the mordant and dye methods are harsh (e.g. an acidic mordant with an acidic dye), pre- or post- mordanting limits the potential for damage to the substrate. The stability of the mordant and/or dye lake: the formation of a stable dye lake means that the mordant can be added in the dye without risk of losing the dye properties (meta-mordanting). 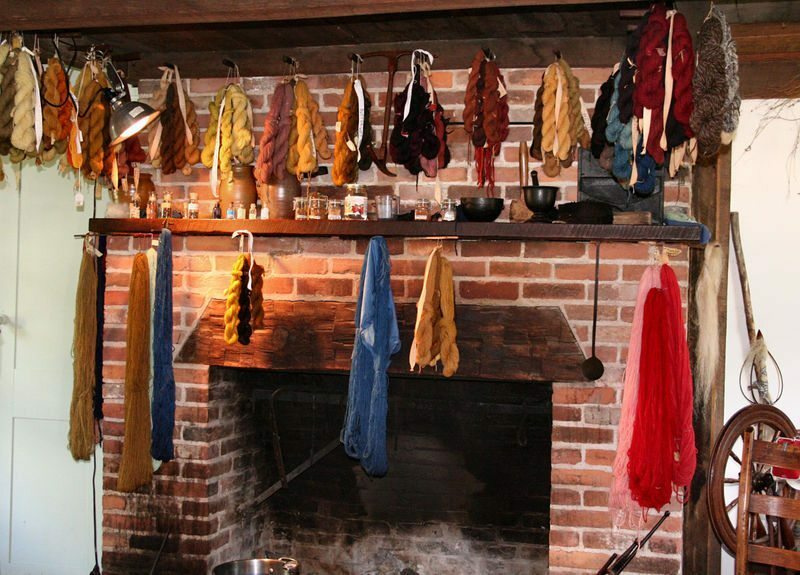 Dye results can also rely on the mordant chosen as the introduction of the mordant into the dye will have a marked effect on the final colour. The dye lake is formed when the complex of dye and mordant are combined, which then attaches to the substrate. The term “lake” is derived from the term lac, the secretions of the Indian wood insect Laccifer lacca (formerly known as the Coccus lacca. The type of mordant used can change the colour of both the dye-plus-mordant solution and influence the shade of the final product. Since metallic mordants are soluble in water and are loosely held by the cotton fibres, these mordants have to be precipitated on the fabric by converting them into insoluble form, or by first treating the fibres with oil or tannic acid and then impregnating treated fabric with solution of mordant, whereby the metallic mordants are held on to cotton via oil or tannic acid. Unlike cotton, wool is highly receptive toward mordants. Due to its amphoteric nature wool can absorb acids and bases equally effectively. When wool is treated with a metallic salt it hydrolyses the salt into an acidic and basic component. The basic component is absorbed at –COOH group and the acidic component is removed during washing. Wool also has a tendency to absorb fine precipitates from solutions; these cling to the surface of fibres and dye particles attached to these contaminants result in poor rubbing fastness. Like wool, silk is also amphoteric and can absorb both acids as well as bases. However, wool has thio groups (-SH) from the cystine amino acid, which act as reducing agent and can reduce hexavalent chromium of potassium dichromate to trivalent form. The trivalent chromium forms the complex with the fibre and dye. Therefore potassium dichromate cannot be used as mordant effectively. In Histology, mordants are indispensable in adhering dyes to tissues for microscopic examination. The most commonly used stain used in diagnostic histology of animal tissues is Harris’ haematoxylin as part of a haematoxylin and eosin (H&E) stain. International Union of Pure and Applied Chemistry (1993). “mordant”. Compendium of Chemical Terminology Internet edition. a b Llewellyn, Bryan D. (May, 2005). “Stain Theory – How stains work”. http://stainsfile.info/stainsfile/theory/mordant.htm/. Retrieved 2009-09-20. Llewellyn, Bryan D. (May, 2005). “Stain Theory – Trapping agents”. http://stainsfile.info/StainsFile/theory/trapping.htm/. Retrieved 2009-09-20.